I happened upon the Daoist Gate website because someone over there wanted to be my friend on Youtube. Looking at their sight leaves me with a feeling of optimism. The descriptions and explanations are simple clear and honest. I really appreciate that. 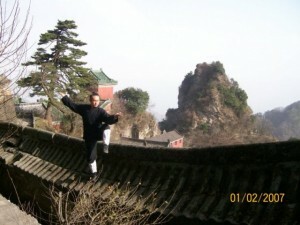 The world of Wudang martial arts has a strange and probably pained relationship to the past. I want to call this the "new daoism." It's links to the past seem tenuous, often frayed, sometimes blocked, or even devastated. Yet what they are producing today has promise.